People have a variety of motives for becoming vegan: in my first blog post I discussed how unsustainable food production practices drove me to give up meat; and in my interview with Hannah Pullman, she said she became vegan for moral reasons. Also influential in this decision is the environmental impact of eating meat – an issue highlighted this week by the United Nation’s climate negotiations in Durban, South Africa. The UN has estimated that livestock farming accounts for about 18 percent of all greenhouse gas emissions, with meat being the major contributor to that number (80 percent of agricultural emissions stem from meat production). This week, a major report concludes that food production is too close to the limits of a "safe operating space" defined by how much we need, how much we can produce, and its impact on the climate. The article also quotes former undersecretary of the U.S. Department of Agriculture Molly Jahn, who notes that as people get richer, the demand for protein gets stronger (and emissions from livestock farming increase), which begs the question, how do you achieve food security while still accounting for climate change? Butler showed that if every person in the world ate 50 g of red meat and 40 g of white meat per day by 2050, greenhouse gas emissions from meat production would stabilise at 2005 levels – a target cited in national plans for agricultural emissions. That's about one burger and one small chicken breast per person every two days. By reducing our dependency on meat, we can make a significant impact on man-made greenhouse gases, which scientists believe will lead to sea-level rise, floods, drought and famine. Indeed, changing our diet is vital considering the dismal results of the Kyoto Protocol – the treaty that bound 37 industrial nations to reduce emissions by about 5 percent below 1990 levels by 2012. The New York Times reports that from 1990 to 2009, global emissions of carbon dioxide, the main greenhouse gas produced by burning fossil fuels, rose by 38 percent (and would have been much higher had the the old Soviet bloc's economy not collapsed). Meanwhile, the U.S. – the largest per capita emitter of greenhouse gases – refused to ratify the Kyoto accord, and saw its greenhouse gases rise by almost 7 percent. Still, countries like Germany and even China are investing in clean energy, and Detroit is finally producing vehicles that are more energy efficient. 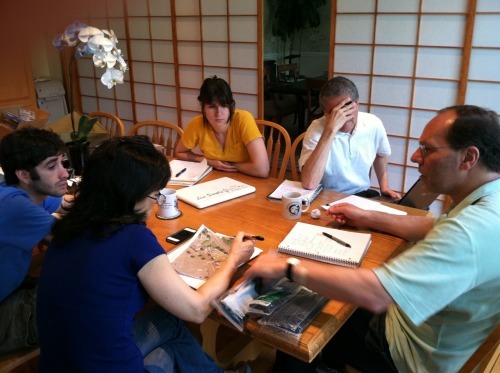 Not to mention, urban planners are beginning to take an interest in sustainable food systems. 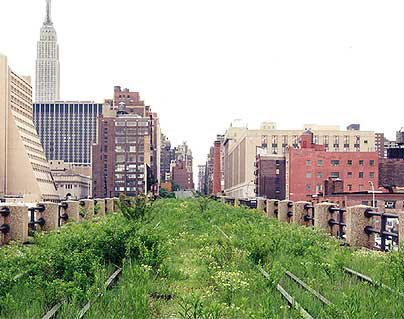 These projects are part of an innovative green infrastructure program to turn impervious roofs, vacant lots and streets into spaces that soak up the rain and prevent water pollution. Supporting urban farms and gardens as a means of keeping our waterways clean is an excellent idea, and should be dramatically scaled up. New York has already spent billions on 14 wastewater treatment plants that handle the dry-weather sewage that flows from homes and businesses. Thanks to this technology, the harbor is cleaner than it has been in generations. But our sewers also collect rainwater, which mixes with raw sewage (called “combined sewer overflow,” or CSO) and is dumped into nearby rivers and creeks through hundreds of pipes to avoid inundating the treatment plants. Tens of billions of gallons of CSOs pollute our harbor each year, hindering the recovery of our estuarine ecosystem. The high potential return on investment in these projects highlights another motive for pursuing clean technology – it’s profitable. And these kinds of projects can be implemented at all levels, across most industries. For example, Alexander Lee – who is part of the group that founded Fresh Nation – is currently working on a project to develop and apply sustainable agricultural techniques within the craft beer brewing industry. Lee has started a page on the web site Kickstarter (an online fundraising platform) to get his project off the ground. Currently he has raised $1,500 toward his goal of $14,700, with 22 days left for people to back the project (Kickstarter projects are only funded if a project’s monetary goal is reached by a specified date). Below he explains his sustainable food project, called Hydro Homebrew. The idea behind his project, Lee says, is that for most agricultural companies, waste is viewed as a costly burden; but with Hydro Homebrew, every byproduct becomes a resource that can be used to reduce the environmental impact of small brewing companies. If you’d like to donate to this project, visit the Hydro Homebrew Kickstarter page and send a couple bucks their way. Depending on how much you donate, you’ll be rewarded with anything from a Hydro Homebrew tote bag to three months worth of freshly harvested organic herbs; not to mention, the satisfaction of contributing to an environmentally friendly cause. As promised, here is my follow-up to my interview last week with Hannah Pullman about Fresh Nation Farmers Markets. On its website, Fresh Nation describes its mission as being "to foster strong and enduring relationships between farmers, food artisans, and consumers to bring local, healthy eating into the mainstream of American life." 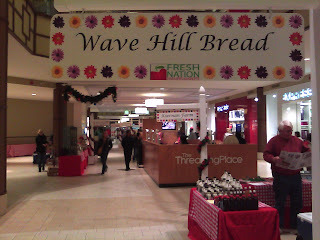 If you're looking for the market, it's located on the lower level of the Lord & Taylor wing. 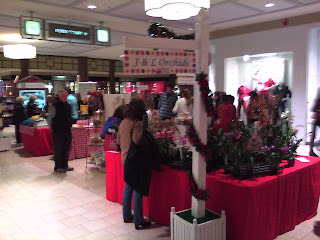 It will be held every Saturday from 10am to 5pm and every Sunday from 11am to 5pm until April 29, 2012, so don't miss it! As you can see, the indoor market has been designed so customers have plenty of space to talk directly with local farmers and food producers. 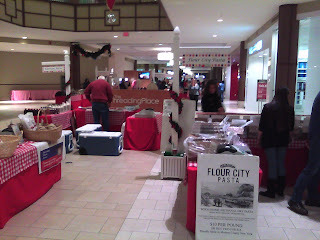 The market offers plenty of high-quality seasonal produce, while also providing shoppers with a number of gift options, from jams and sauces to baked goods (and you can always pass off one of the homemade pies as your own). While the market features many returning vendors from Fresh Nation's summer market, it has also added several new vendors. Some of the best food stuffs on sale, in my opinion, are the homemade pickles, and the pasta and sauces. So if you have some time this weekend and you're in the area, make sure you check out the farmer's market at the Danbury mall! Today is Thanksgiving, and before we start giving thanks for our deep-fried turkeys and $200 flat-screens, we should all take a moment to consider the issue of food insecurity in this country. In a previous post I discussed how U.S households that are "food insecure" -- meaning their access to food is limited or uncertain -- are on the rise: 14.6 percent of U.S. households fell into the food-insecure category at some point in 2008. Rarely does Jamison sit down. With her matted grey hair, wool sweater and overalls, she looks much older than her 56 years; but she has an inexhaustible supply of energy. “Her day starts between four and five in the morning, and she usually doesn’t leave until around nine,” says Larry Lawson. Lawson is lanky with dreads that rain down his back. He is the main manger of Fair Foods, and Jamison calls him her “right-hand man.” He joined Fair Foods 15 years ago, having heard of the organization through its “Two Dollars-a-Bag” program. While Jamison barks orders at a group of Harvard kids who are volunteering that day, Lawson stands quietly by a waiting truck at the opening of the warehouse. You’d easily mistake the warehouse for a junkyard if it weren’t for the stacks of food organized in the center of the room. Panes of glass and scrap wood overflow from every corner, and a broken-down car lingers to the side of the asparagus. Jamison first became concerned about hunger relief during the 1984 famine in Darfur, western Sudan. “You had all these people, like Bob Dylan and Michael Jackson, singing ‘We are the World’, but what we needed wasn’t a song; we needed a food program.” But at that time, she was stuck raising her sister’s seven kids because of her sister’s drug addiction. In 1988, she was working for Habitat for Humanity at Dorchester’s Pilgrim Church. Driving home one day, she saw surplus food being dumped at a Stop & Shop distribution center. She got a truck and brought the food back to the church. Jamison then recruited some friends, got more trucks, and soon they were delivering 45,000 pounds of food a week to local food banks. Even at their new location, they are having trouble with their landlord: “We were busy painting the ugly walls of this place and [the landlord] comes in here with these two dogs peeing everywhere, and starts yelling at us for painting.” Jamison is now looking to buy a larger warehouse in Chelsea, Mass., and hopes to move there by the spring. Jamison’s employees are a mixed bunch. She has about 300 people working for her, with five managers. Some come from jails or half-way houses, others are from nursing homes. Most are people volunteering or fulfilling a community service requirement; Jamison has few steady workers. Part of her full-time staff is Jason Bennett, a carpenter and recent alumnus of Boston University. Jamison often puts him in charge when she is picking up or distributing food. Jason is quietly self-assured, giving orders to the Harvard kids, who show up late for volunteering, in an easy going, non-confrontational manner. Of Jamison’s employees, Lawson is among those who have been with Fair Foods the longest. He also seems to be the most understanding of Jamison’s mischievous sense of humor. She does not hesitate to interrupt him when he is quietly chatting with a man who has stopped by to pick up some food, bursting into his office and chiding him for eating pig skins -- an acquired taste. 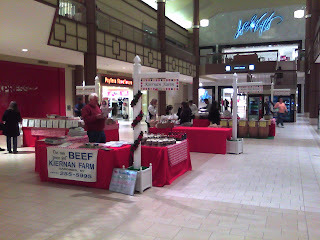 Whether Fair Foods will continue in Jamison’s absence remains to be seen. “Fair Foods is not a normal non-profit organization, it’s more like a family," my friend who volunteers there says, "and one of its biggest flaws is that so much of it relies on Nancy’s energy; I’m not sure who’s going to run it when she retires." With the last truck pulling away, the Harvard kids gone, and her employees making their way home, Jamison slumps in a chair in her office. Lawson leans against the desk beside her. They talk about the Harvard kids, and how useless they were; they voice their shared frustrations with the current warehouse. Then Jamison tosses her glasses on the desk and Lawson absentmindedly picks them up, turning them over in his hands. Actually this isn't breaking news, though you may find it surprising. Current rules for the nation's school lunch program dictate that about a quarter-cup of tomato paste on a slice of pizza can count as a vegetable serving. 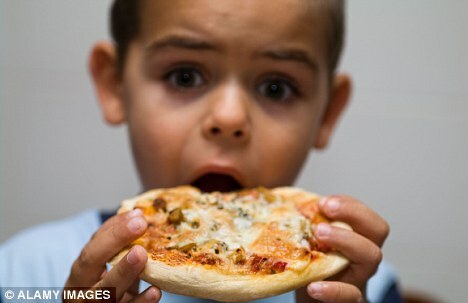 Congress merely affirmed its "pizza is a vegetable' rule this past week when it blocked rules proposed by the Agriculture Department that would have overhauled the nation's school lunch program. I've actually discussed this overhaul in a previous blog post: at the beginning of October I wrote about the The Healthy, Hunger-Free Kids Act, which President Obama signed into law towards the end of 2010. One aspect of the law was that it gave the Department of Agriculture the authority to set nutritional standards for all foods sold in schools during the school day, including vending machines. Last January, the Department of Agriculture proposed its new rules, which would have cut the amount of potatoes served and would have changed the way schools received credit for serving vegetables by continuing to count tomato paste on a slice of pizza only if more than a quarter-cup of it was used. The rules would have also halved the amount of sodium in school meals over the next 10 years. All of this sounds very progressive, but you're probably wondering how much it costs - according to the White House, in addition to reauthorizing child nutrition programs for five years, the bill will provide $4.5 billion in new funding to these programs over 10 years. Figures like those make me miss the heady days of late 2010, when child nutrition legislation could get passed with a unanimous vote by the Senate and a vote of 264-157 in the House. Of course, now we're in 2011, and economists are no longer making rosy projections about unemployment decreasing and consumer confidence bouncing back. Instead we have debt crises and double-dip recessions. So it's not surprising that public schools are worried about the rising costs of serving lunch. “This is an important step for the school districts, parents and taxpayers who would shoulder the burden of U.S.D.A.’s proposed $6.8 billion school meal regulation that will not increase the delivery of key nutrients,” said John Keeling, executive vice president and chief executive of the National Potato Council. The Department of Agriculture, meanwhile, said that the change would have simply brought tomato paste in line with the way other fruit pastes and purees were credited in school meals. I could talk about how shameful it is that Congress would rather protect industry than children's health, especially at time when childhood obesity is a national health concern. But when the GOP's argument for shooting down the changes is that serving our kids healthy food constitutes an attack on their personal freedoms (you know, from broccoli and other yucky vegetables), I think they've just about made my argument for me. It's no wonder then that the approval rating for Congress is at an all-time low of 9 percent - when lobbyists are deciding our nutritional standards, I think it's fair to say our government is broken. As Jon Stewart said on his show Wednesday night: "It's not democracy it's Digiorno." This week I had the opportunity to interview Hannah Pullman (center in the picture below) who is part of the team behind Fresh Nation Farmers Market. Fresh Nation's strategy is to partner with shopping centers in order to bring local food to the masses. So far, the company has one location in Connecticut's Danbury Fair Mall -- you can learn more about the company on its website. Below, Hannah and I discuss Fresh Nation and her choice to become vegan. I was 18, so five or six years ago. Definitely moral reasons -- I could no longer ignore the horrible living conditions that meat and dairy animals endure and the torturous slaughter methods used by the meat industry. Why support suffering, mass cruelty and murder when I don't have to? What influences shaped those reasons? I was always uncomfortable with eating meat, but it wasn't until I went to sleepaway camp at age 10 that I discovered the existence of vegetarian options. I never knew there was such a thing as meatless dinner options, and I loved it! Over the next few years I cut out different animals from my diet until I was vegan. I had a few vegetarian friends along the way whose choices influenced me. Then I joined a vegan club as a freshman in college and that was it -- I just had to become vegan. Also there is a great documentary "Earthlings" that influenced my final decision to become vegan. Such a compelling movie! How did family/friends react at the time? Has anybody ever challenged you about it? My dad hated it. People challenged me all the time. Every time I walked into a room of people I knew I felt attacked for my choice of diet. It sucked. Also I was so passionate about being vegan that I welcomed all conversation about it and tried to convince everyone I knew to stop eating animal products. There are also a lot of ignorant assholes who used to come up to me (and sometimes still do) and say "Bacon is awesome... I loved tortured animal meat" or something like that. I'm now a lot better at recognizing those people and I avoid having the vegan conversation with them. What is your vegan "pitch? How do you sell it to someone who is interested? Vegan pitch...For me it is "Why should I take part in such cruelty when I can live a perfectly happy and healthy life without doing so." Animals obviously understand pain, suffering, and pleasure (think of a pet dog or cat) -- why abuse them when we don't have to. If the person really doesn't care about animal feelings, then I would appeal to the environmental aspect of veganism. Why do you think farmer markets are important? Support local businesses! Small-scale farms are suffering today. And large-scale farms are mostly mono-crop farms. This mono-crop style of farming is destroying the land and forces farmers to increase the use of toxic pesticides that pollute the air and our bodies. Plus, vegetables from grocery stores take a week or more to ship to the store and then sit on the shelf. By that time they lose most of their nutritional value. 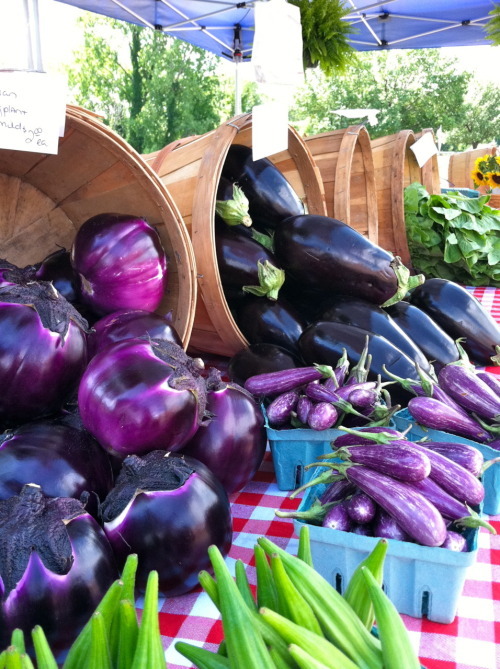 Local produce from a farmer's market is fresher, tastier and more nutrient dense. How is your market different to ones like it? We are located within super regional malls so a larger demographic and population can access the market. 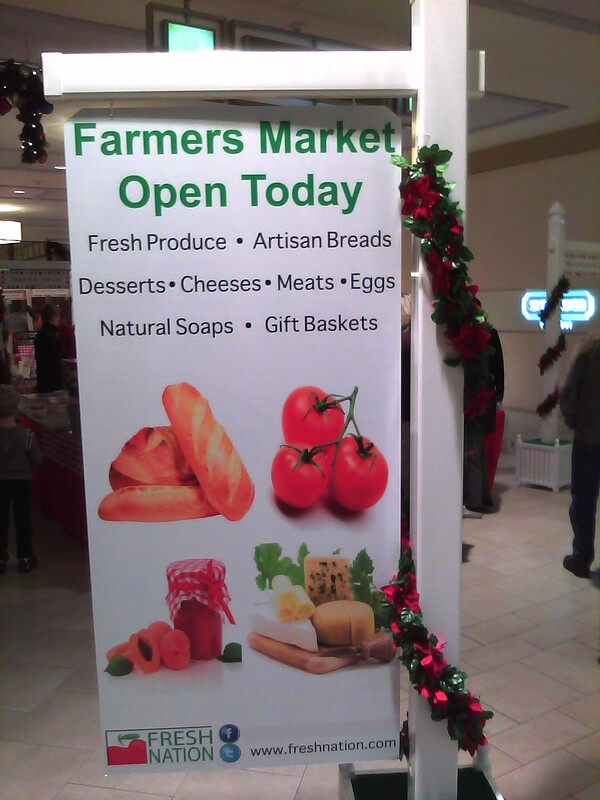 We also provide a more formal and aesthetic aspect to the market that other farmer's markets do not offer. Do your vendors just sell their own goods, or do some have contracts with companies? 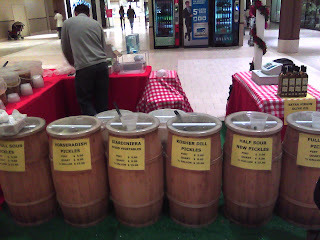 Each farmer's market is different. 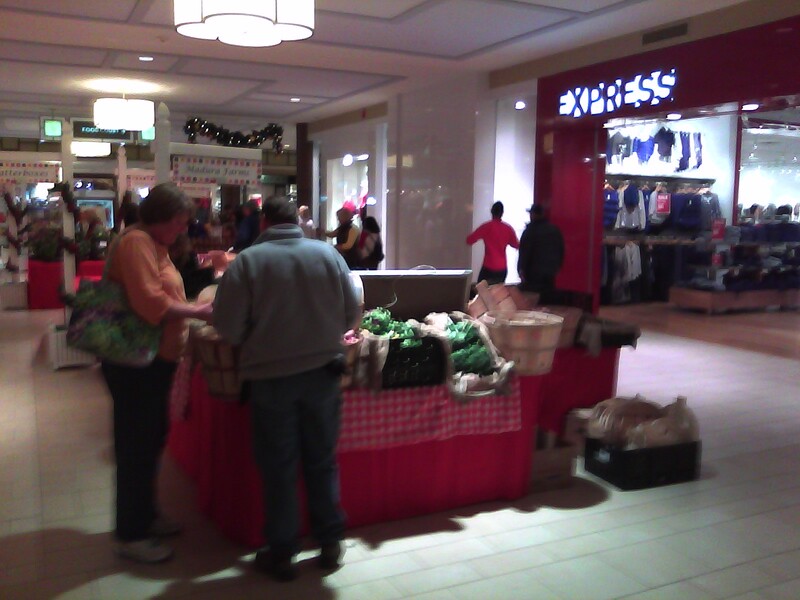 Market operators usually enforce certain standards for their vendors. Fresh Nation Farmers Markets enforces a 95 percent policy -- 95 percent of all products sold by vendors must be grown, made or produced by the vendor. What's your vision for this farmer's market? Where would you like to see it in 10 years? I would like to see farmer's markets in malls across the country. And what's the one vegan dish that everyone should try? 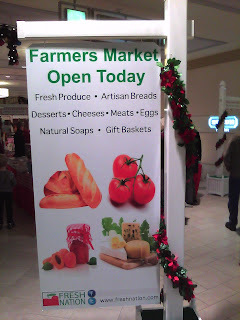 Check back next week to read about my visit to the Fresh Nation farmer's market in Danbury. While the image is getting some attention now, it was actually created in 2009 by artist and scientist Stephen Von Worley, whose blog Data Pointed offers a wealth of data visualization research (be warned, it's quite the time waster). Worley has even located "The McFarthest Spot" - the place in the Lower 48 states that's furthest from the nearest McDonald's. 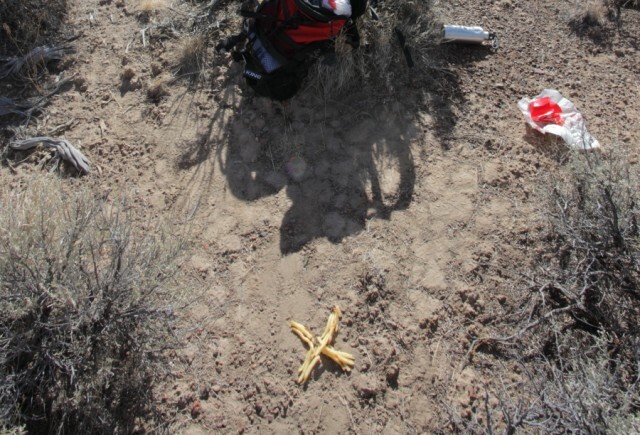 Currently that location is in the high desert of northwestern Nevada, and he's even made a trip there to mark the spot with McDonald french fries (which, despite what employees at your local chain might tell you, aren't vegan: they're coated in beef extract). Looking at this data map, it should come as no surprise that McDonald's Corporation's 2010 revenues totaled $24.1 billion. Still, while the company's sales rose in the latest quarter, they fell short of expectations; the company also had to raise prices recently due to a spike in commodity costs. But clearly McDonald's isn't going anywhere, and now that the company is opening stores in China (it hopes to have 2,000 locations there by the end of 2013), it's only a matter of time before the whole world is lit up by the golden arches.